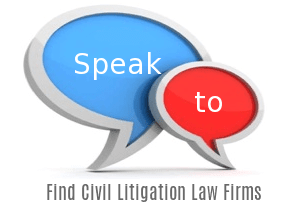 The solicitors offering Civil Litigation help are shown on the map below. Click on any pink pin to see more information about the firm at that location. You can Zoom in and out, or use the Postcode search box on the right. [snippet ...] At the trial, the solicitor has a dual role; they are there to assist the barrister if they have any queries about the case or need instructions and also to ensure that the client understands what is happening around them as court can be quite terrifying for lay people.